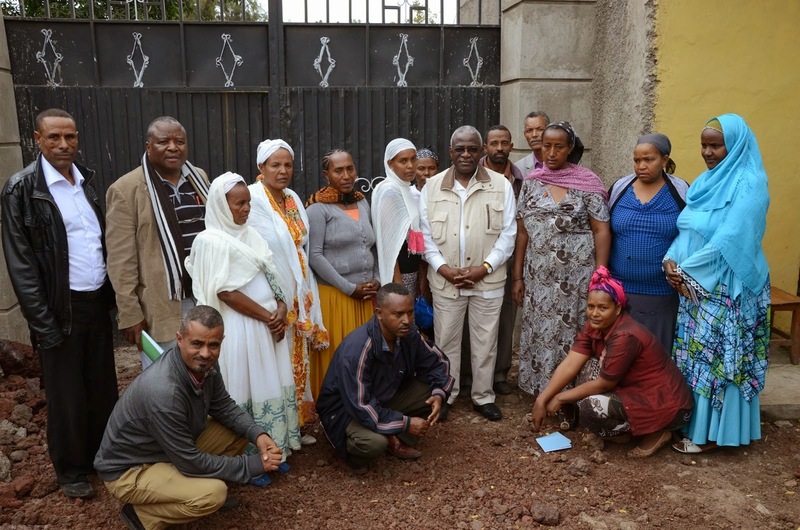 Fana Union supported by IFAD supported RUFIP in Butajira, Ethiopia. 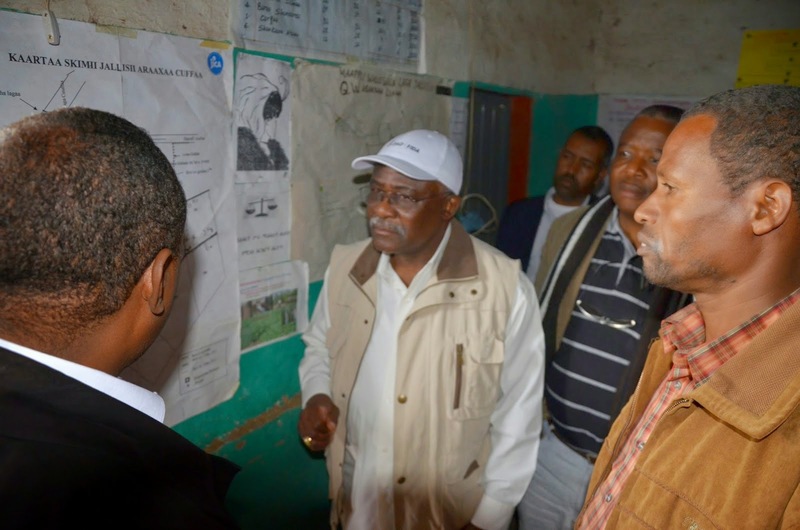 On the heels of the African Green Revolution Forum, the IFAD President Kanayo F. Nwanze took the opportunity to visit IFAD supported Projects in Southern Ethiopia, traveling to Butajira in the Southern Nations Nationalities and Peoples region and Arata Chufa in Oromia Region. 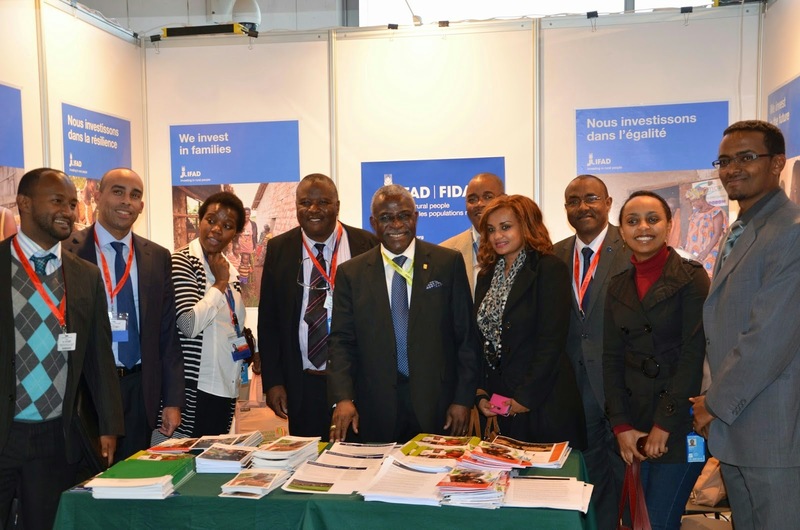 The IFAD President Kanayo F. Nwanze traveled to Ethiopia to make an inaugural opening speech on 3rd September 2014. During the opening speech he urged for investment in the agricultural sector as a means for economic growth to transform the lives of the rural poor and particularly engaging the youth; “Yes many African economies are growing strongly, but too often this is on the back of extractive industries that do not yield jobs and income for Africa’s poor and hungry,” he said. who participated in the African Green Revolution Forum. Before the opening the President had the opportunity to travel to Butajira and Arata Chufa to meet the beneficiaries of IFAD support supported projects and see first-hand how the Fund’s investments are transforming their livelihoods. 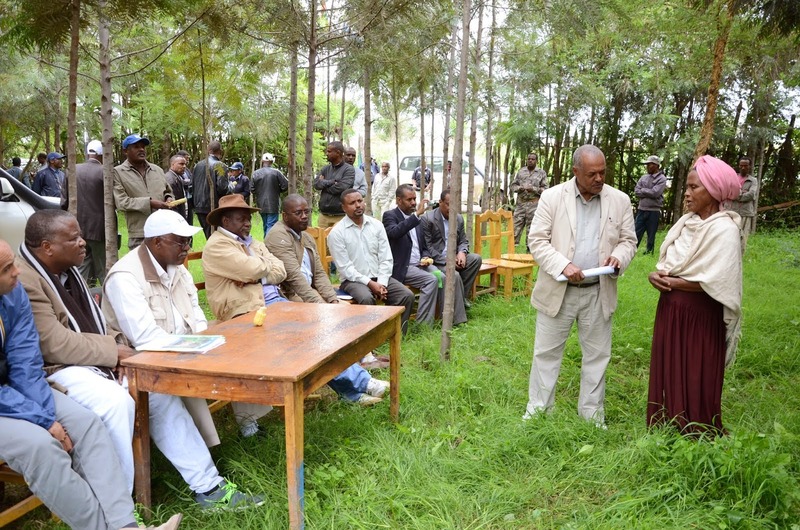 In Butajira he interacted with members of Edget Cooperative, which is a registered member of Yetsana Fana Cooperative Union that has received financial management trainings and a credit loan to bolster its services for its 108 cooperative members under the second phase of the Rural Financial Intermediary Programme. 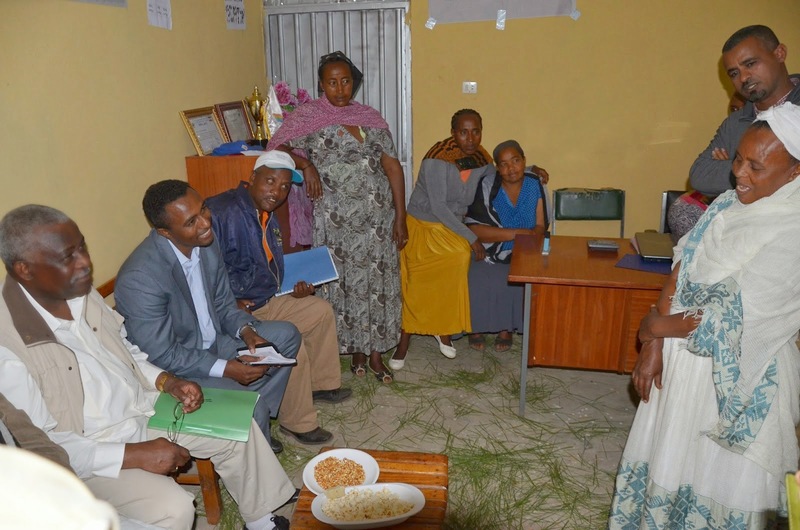 Women play a strong leadership role in the 290 members strong Edget Cooperative. Almost half the members are women headed households and all but one of the members of the governing committee are women. Kibe Kamere shared her experience of taking of 15,000 Birr (USD 750) and raising 3,000 Birr (USD 150) through her savings to purchase a dairy cow. “I am not going to borrow in the future without a financial plan,” she told the IFAD President, while sharing her future investment plans. Members shared their personal experiences of taking loans to launch small enterprises and to develop their farming activities. Loans have been used to invest in activities such as, rearing small ruminates, to purchase inputs (seeds and fertilizers) for their farms and to launch dairy processing activities. The President commended their efforts, encouraging them to continue to invest with their business plans in mind, ensuring to better the livelihoods of their families. The IFAD President also visited Bati Futo marketing group that was established by the Agricultural Marketing Improvement Programme. The project established the 150 member strong marketing group providing them with training on basic marketing. Members have been able to qualify for loans from OMO micro-finance institution (MFI) that is supported by the project credit fund. A majority of members took loans to purchase animal drawn cart or to purchase boxes to transport their produce, tomatoes, fruits and onions to the market. While discussing the challenges the farmers continue to face to access markets, he emphasized that IFAD hopes to focus its future investments in Ethiopia to create better access to markets and the lessons learned while implementing AMIP will contribute to strengthening future efforts. Delmanash a member of Bati Futu marketing cooperative explained that since she joined Bati Futo marketing group she is now; aware of market prices in surrounding areas, able to sell her produce when the price is most beneficial and can now easily transport her produce to the market by using wooden boxes and an animal drawn cart that she purchased through a loan funded by the Agricultural Marketing Improvement Programme. The final visit was to Arata Chufa, where the IFAD President viewed a Participatory Small Scale Irrigation Development Programme scheme. 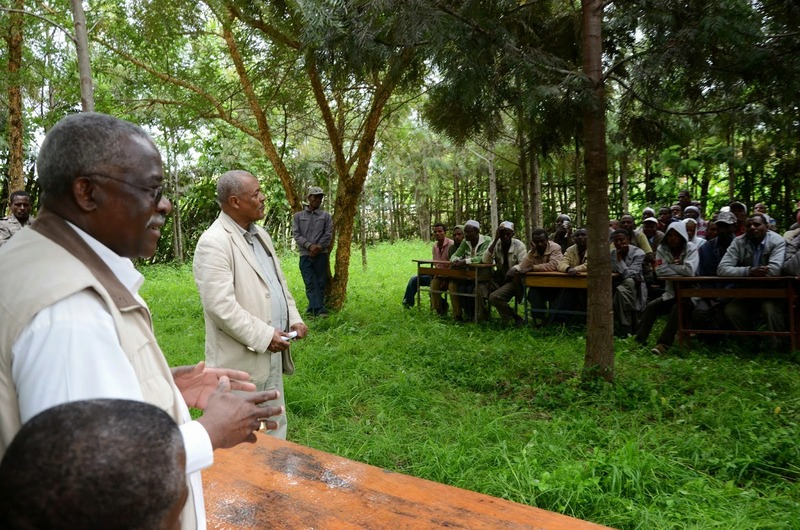 The IFAD President had the opportunity to discuss with farmers how they have managed to successfully market their produce from irrigated small-scale farms. The 100 hectare scheme established 14 years ago under IFAD supported Special Country Programme phase one is managed by a water user association of 324 members. The WUA, which is a registered irrigation cooperative serves as a platform to encourage beneficiaries to collaborate and jointly improve their farming practices, working together to overcome hurdles they face while adapt irrigation technologies. 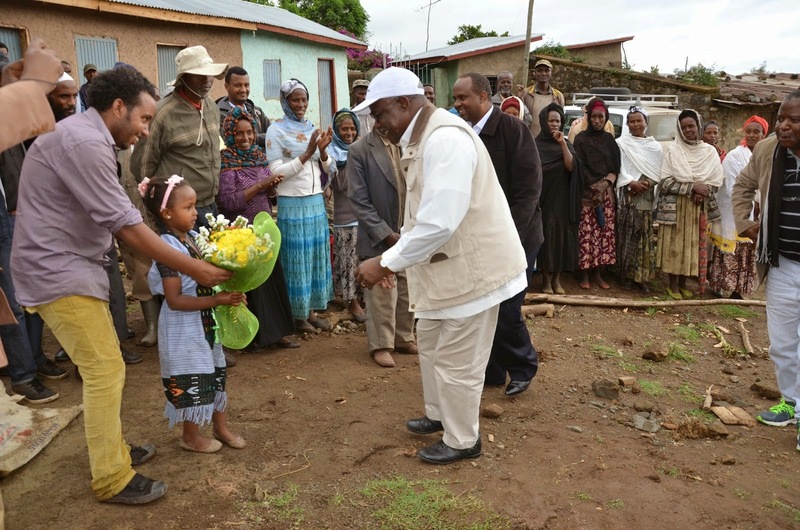 IFAD President Kanayo F. Nwanze is welcomed by the Arata Chufa water user association that manages a 100 hectare irrigation scheme supported by the IFAD supported Participatory Small Scale Irrigation Development Programme in Ethiopia. Before the Arata Chufa scheme was established Medina Hamzino Hamdinot used to grow wheat in her 0.25 hectare land only enough for her subsistence. 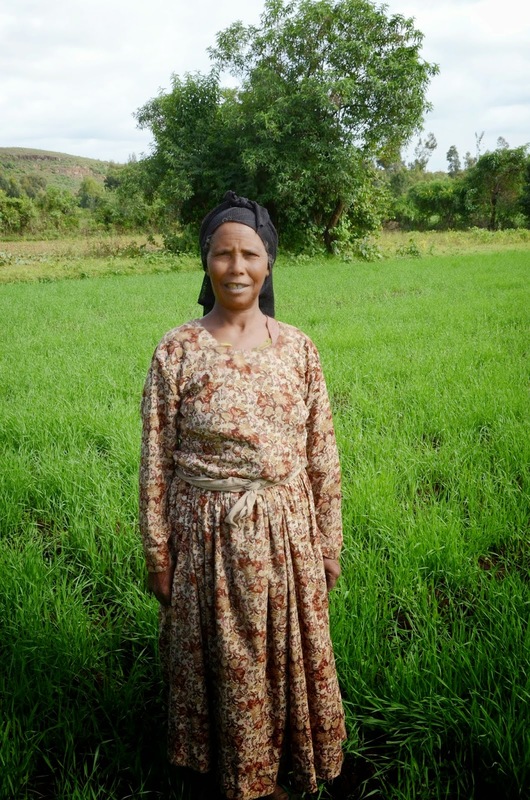 She has now introduced sugar cane and potatoes onto her farm enabling her to is gain 20,000 Bir (USD 1000) per harvest. 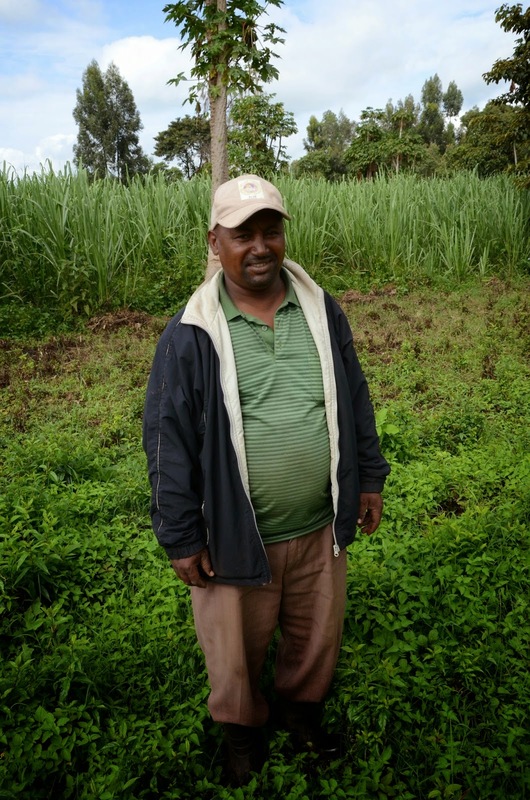 Joseph Bayena a model farmer and former chairperson of the Arata Chufa WUA in 2004. Over ten years he has expanded his 0.25 hectare farm to 10 hectares by investing gains from his harvest of tomatoes, peppers, potatoes and beans.